This beautiful home in Omaha focused on many of the key components that were discussed. 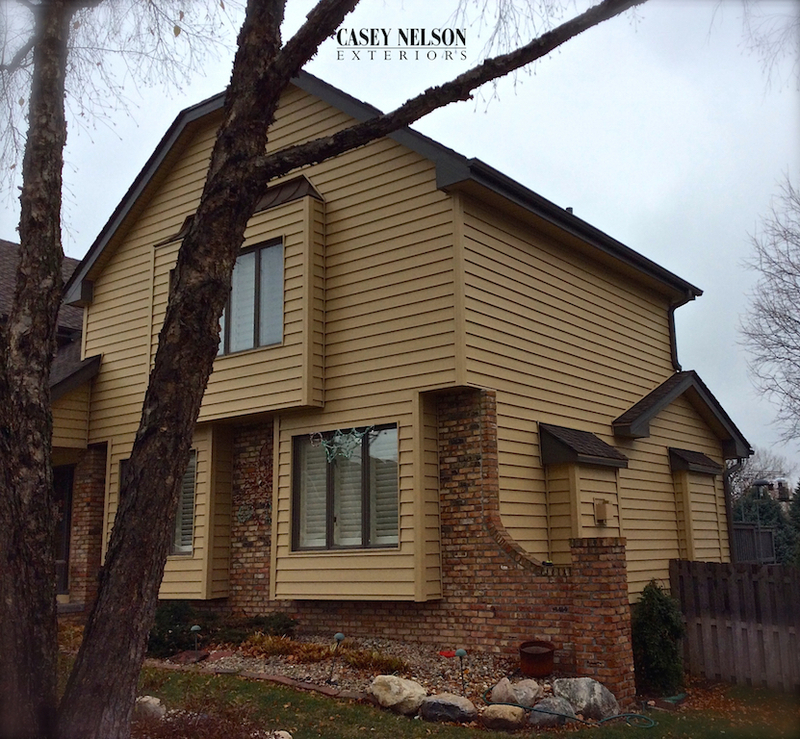 By using Mastic’s Corn Silk Structure Siding and terra bronze accents the home becomes a showpiece on their block! 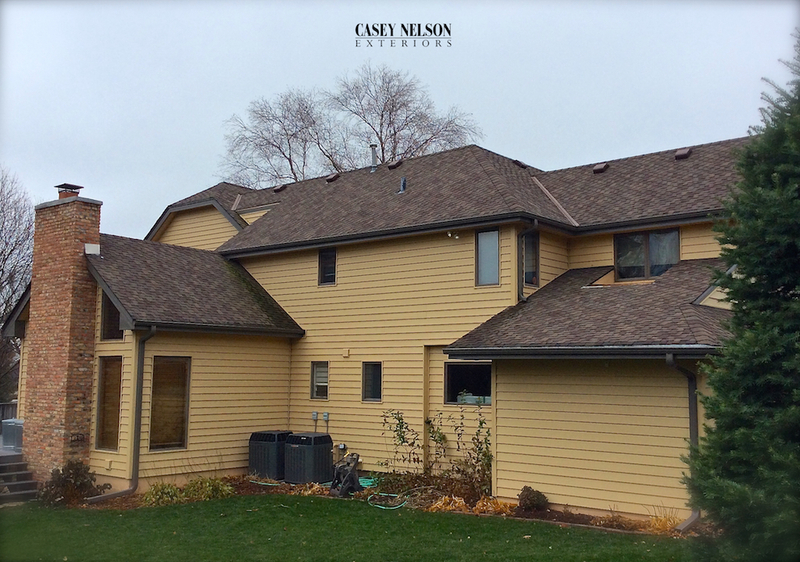 If you are looking at a home make-over give Casey Nelson Exteriors a call. Casey will discuss the products available to you, the advantages of each, and show you the colors that are available along with accent selections. 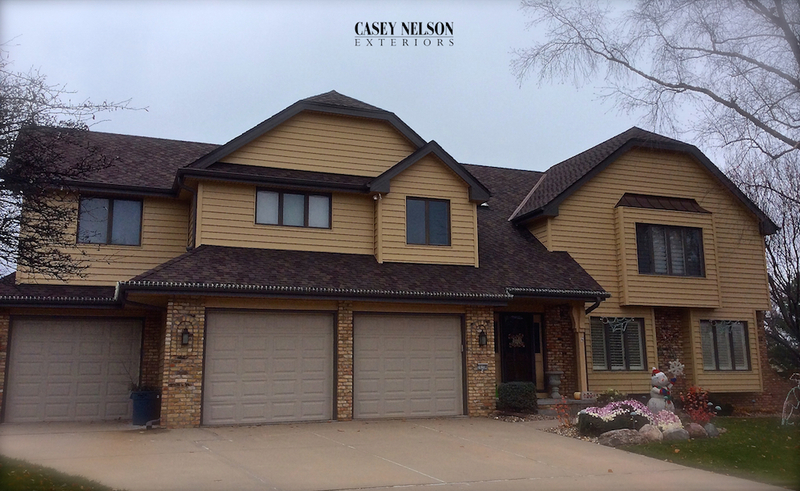 This entry was posted in Recent Projects and tagged Siding Omaha NE, Vinyl Siding Omaha NE on November 28, 2016 by Casey Nelson Exteriors. Structure Insulated Siding Winter Sale! Casey Nelson Exteriors is currently offering our Winter Special! 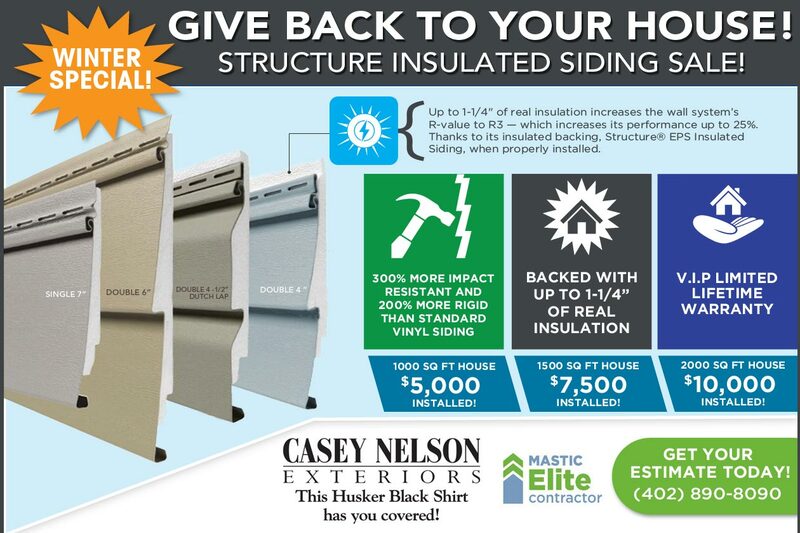 Huge savings on our Structure Insulated Siding program. We proudly serve the Lincoln and Omaha communities, so give us a call today for your free no-obligation estimate and start the process if transforming your home’s exterior and enjoying the energy savings that come with our insulated vinyl siding! This entry was posted in Current Specials and tagged Siding Contractor Omaha NE, Siding Lincoln NE, Vinyl Siding Contractor Lincoln NE, Vinyl Siding Omaha NE on November 23, 2016 by Casey Nelson Exteriors.